A description is added to a blog to describe it to tell people what the blog is about. In blogger there are three different ways to add a description but most of the users are aware of only two. One way to add description to blog is using meta codes, the second way is to add description in header(layout) and the third way to add description is to add it in search preferences. But if description is added in all of these regions it cause a problem of that is in every post even if it has its own description, blog description will go with it because blogger doesn't work as other sites that every post/page/directory/homepage has its own description. As description plays a very important role in Seo therefore every has to focus it. How does description work for seo? From above image you can conclude that Google targets the words used in description and hence description plays a vital role in seo. This is the description added to a blog using meta code. It appears in all posts/pages/categories and homepage of blog. Using this method is good if you have a description with keywords resembling your blog's content. 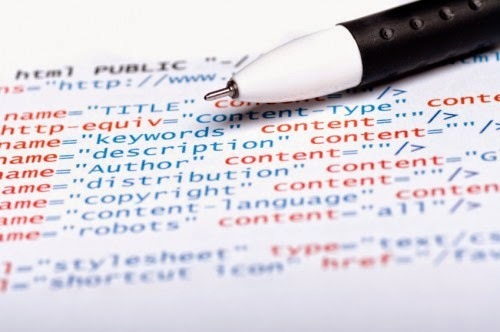 Related post: Meta codes optimization in blogger. This description is added to header(in layout). It appears on every page but it is not shown in search results. Only meta and the below description is concerned with seo. This description is in search preferences of your blog in the settings option. It not only contains the description of your blog but also enables you to allow description for specific posts. Related post: How to enable search description in every blog post for seo. As description plays an important role in seo therefore it should be used in such a way that we could say that out blog is among best seo friendly blogs. Hence here I will give you some suggestions to use description in an appropriate way. I am not talking about the description in header as I think it doesn't have any concern with seo but still I advice you to add a description in header so to be 100% sure that their is no doubt in my blog's seo. Use this tag only if you are sure that your description doesn't resemble your content. this code will show the description only in homepage and hence won't cause problem of duplicate description. Use this tag if you are sure that your description resembles your content e.g if you have a blog with content related to making money on internet and you have a description that contains words similar to your posts words then I suggest you to use this tag. This option exists in search preferences in settings of your blog which lets you to enable description for each post and page but while enabling it, you can add a description that will be added to every post/page description and if you don't add description to any of your post or page that will be counted as duplicate description. If you are using the above meta description and this one too but also adding description to every page and post then you will see only one duplicate description error that is Homepage. But if you use two different description in meta tag and search preferences meta tag then it won't cause any duplicate description problem. The above robots.txt will block categories in search engines so you won't see any duplicate description. Make sure to add a different description to each of your page and post. Do you have any question or suggestions? if yes then leave a comment below. Follow and subscribe to get latest news about new seo posts. Share this post with others if you like it. 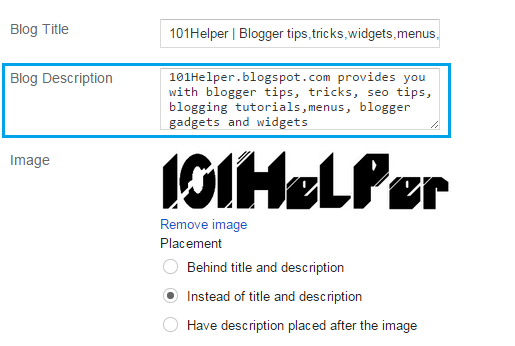 Search tags: Using description for seo/fixing duplicate description in blogger, Seo tips for blogger, Blogger seo tips, Seo guide, 101Helper seo tips. 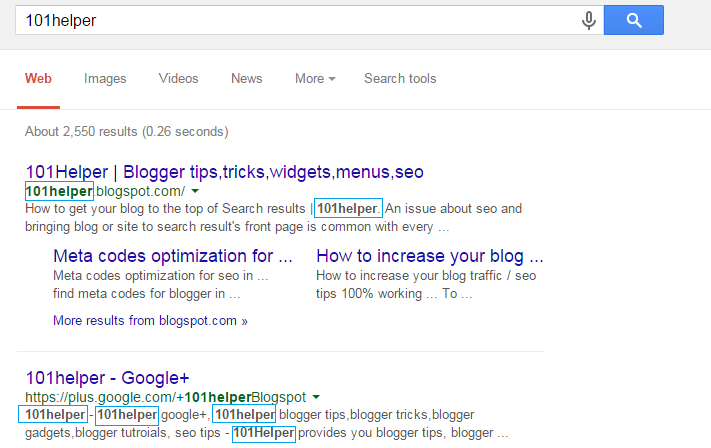 why my post in google have blogger description rather than post description ?